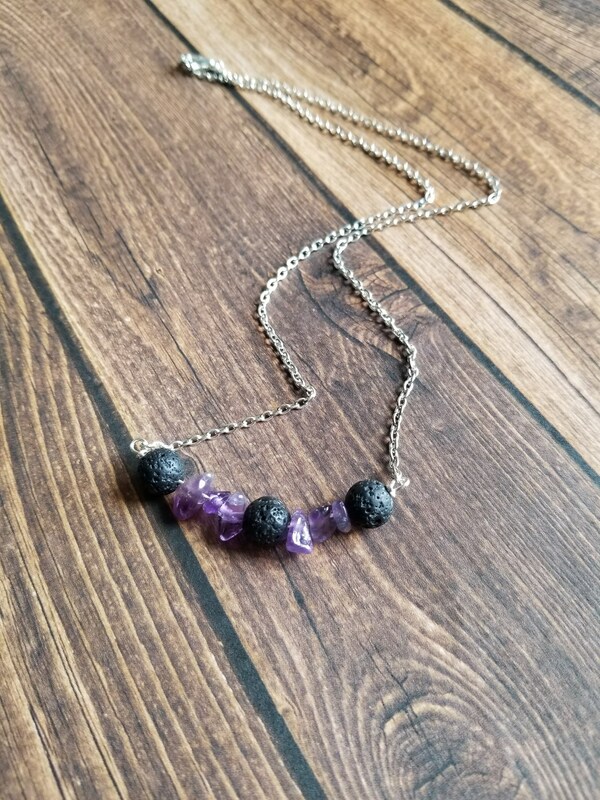 Diffuser jewelry is the perfect way to get use of your EO on the go! 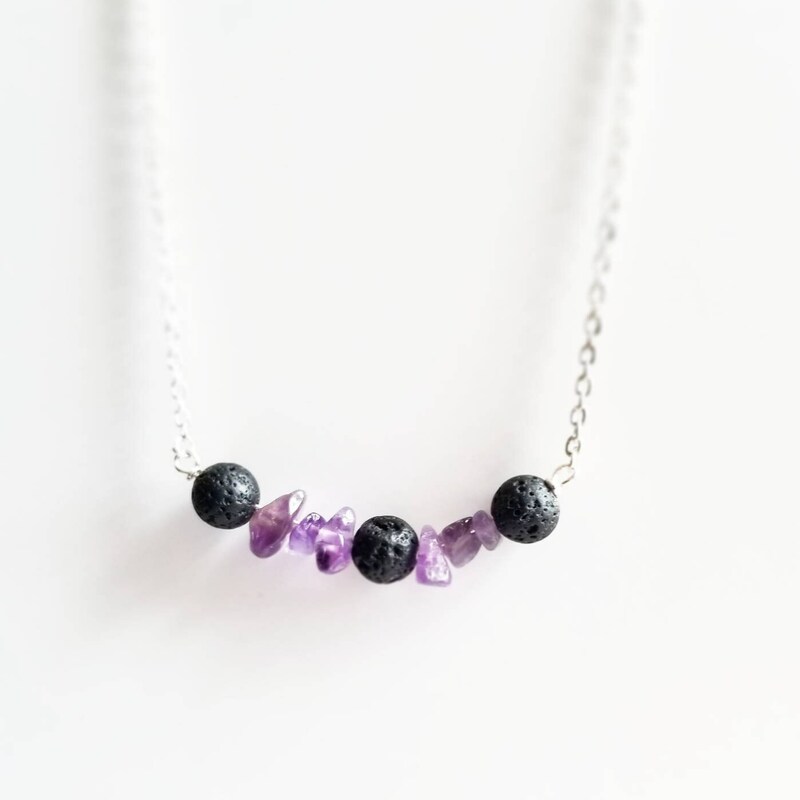 Amethyst is a stone of protection. Enhancing psychic ability it resonates with both the third eye and crown chakra. 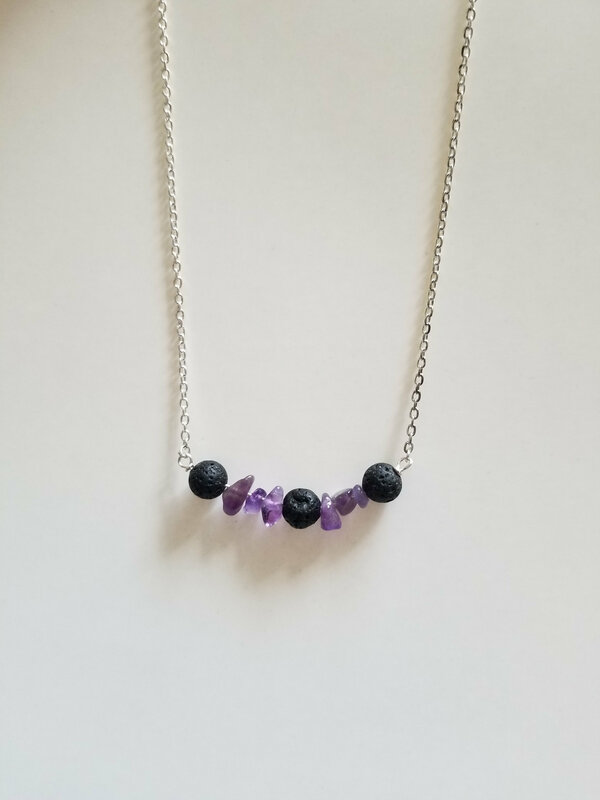 Wear Amethyst to enhance intuition, relieve pain- especially headaches, and insomnia. 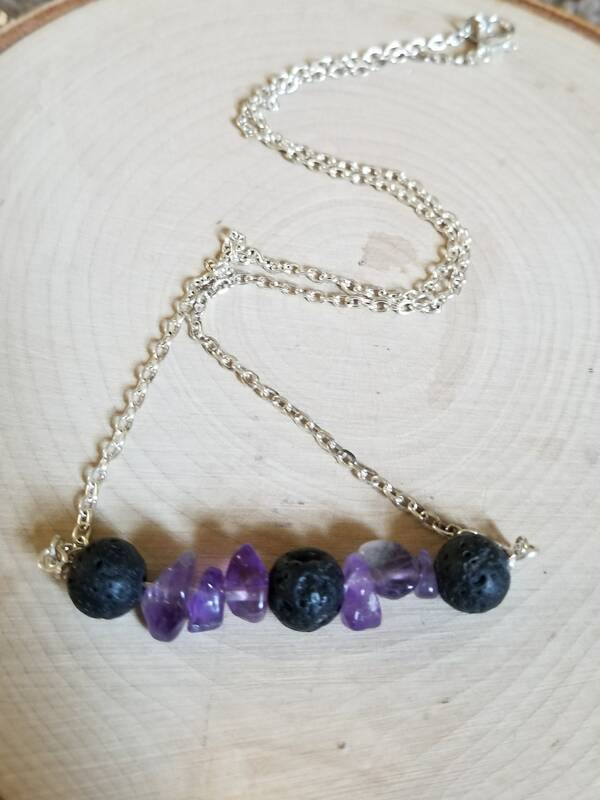 Lava Stone is a grounding stone. Shedding unneeded emotional baggage and stabilizing within. It also has a strong connection with the earth. 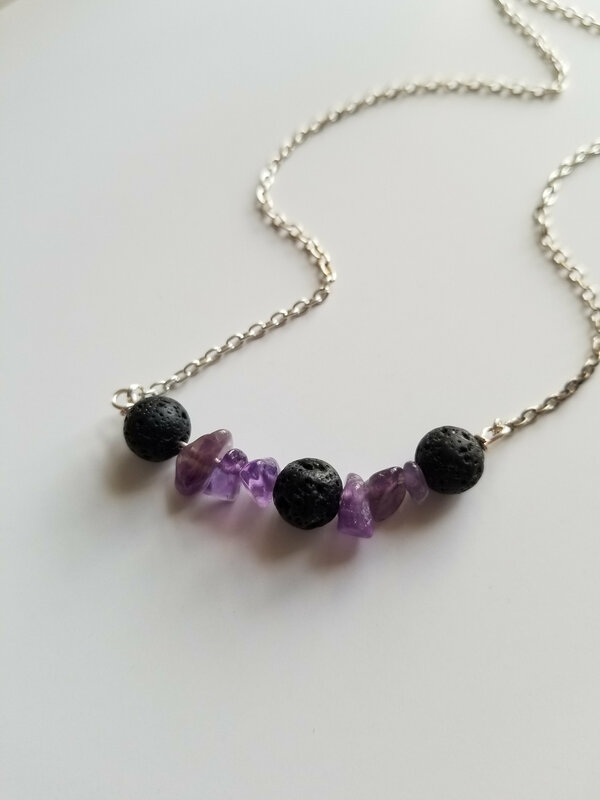 Lava Stone makes an excellent wearable Essential Oil Diffuser! Place 1-2 drops EO of choice onto lava stones, reapply as needed!